With the 2018 World Cup well under way in Russia, you’d be forgiven for thinking that this globally-renowned tournament is a far cry from the technology that permeates our lives on a daily basis, but technology is as much a part of the modern game as penalties, knockout rounds and national anthems. Goal Line Technology (GLT) will be present in each of Russia’s football stadiums, sending a signal to the referee’s watch – thanks to a number of high-speed cameras – within a second of a ball crossing the goal line; Video Assist Referee (VAR) will aid decision-making with the use of verbal information and video footage, and analysts will enjoy real-time access to positional data from optical tracking. There are however differing views on this technology. Some worry that any reliance on technology will ultimately kill the emotion so ingrained in sport. But it does make for a fairer state of play: for example Hawk-Eye – which removes the risk of human error, in much the same way as GLT – has saved tennis from the sort of dubious calls that marred Serena Williams’ defeat at the 2004 US Open Women quarter-final. First used during a Test match between England and Pakistan on Lord’s Cricket Ground in 2001, Hawk-Eye creates a 3D representation of the ball’s trajectory. It’s said that the computer system is accurate to within 3.6 millimeters, and trusted in sports – such as Tennis, Badminton, Rugby Union and Basketball – as an impartial (and often necessary) second opinion. Some commentators doubt its ability to predict the trajectory of a ball after bouncing – but on the whole, its influence is welcomed to aid umpire/referee decisions. 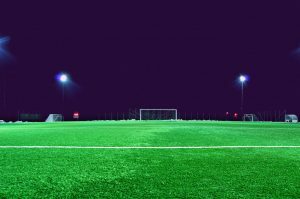 SAP software has also been used in football – SAP Sports One – which is built on SAP’s in-memory data platform SAP HANA, is targeted at administrators, coaches and medical staff. This solution allows a club to combine data in key areas such as match analyses, performance insights, player fitness data, training plans and scouting notes, providing a complete and streamlined view of each player. Of course, the influence of technology is not limited to in-match analysis: wearables are prevalent in sport such as athletics as coaches utilize the technology to track a range of metrics, such as an athletes heart rate, to monitor, track and improve performance and minimise injuries. While some Major League Soccer teams have been using the Adidas MiCoach system, implanted into clothing, to track its players running speed, distance, and other data. For athletes, technology in sport can improve performance, but invade privacy; for officials, it supports decisions, but slows the game; for spectators, it provides greater information, but detracts from play. And for sport in general? Only time will tell.